This chapter provides a longue durée survey of the expansion and contraction of Persian from its origins in the early medieval period through to the early twentieth century. Its broad synthesis covers every region in which Persian was used, from Iran and Central Asia, to India, China, the Ottoman Empire, the Caucasus, and maritime Southeast Asia. After introducing and critiquing the concept of the ‘Persianate,’ the essay develops the model of ‘Persographia’ as a means of emphasizing the importance of scribal practices and written documents in expanding the use of Persian among so many different peoples. Constant attention is paid to Persian’s multiple ‘frontiers,’ whether geographical, social or intellectual. 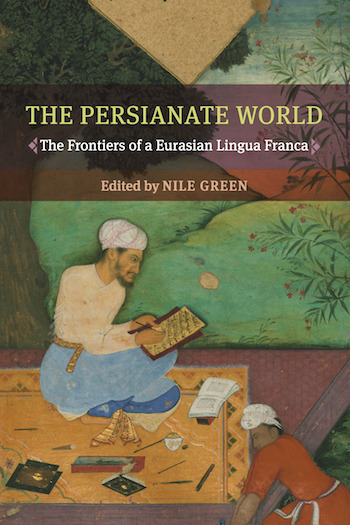 In this way, the essay serves as a stand-alone introduction to the history of the Persianate world as a whole.